We are ready to make your game experience even greater! Bugs are fixed and game performance is optimized. Enjoy!. . Our team reads all reviews and always tries to make the game better. Please leave us some feedback if you love what we do and feel free to suggest any improvements. 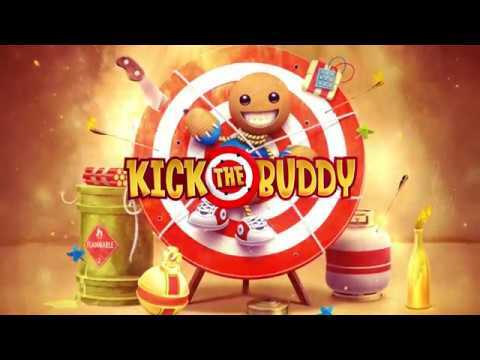 KICK THE BUDDY ARRIVED ON GOOGLE PLAY! Explode, destroy, fire, shoot, smash, kill, freeze, send the power of the Gods and don&apos;t even think about stopping! Man, you now have a virtually limitless arsenal to beat: rockets, grenades, automatic rifles, torture instruments&#x202... Lihat lebih banyak KICK THE BUDDY ARRIVED ON GOOGLE PLAY! Explode, destroy, fire, shoot, smash, kill, freeze, send the power of the Gods and don&apos;t even think about stopping! Man, you now have a virtually limitless arsenal to beat: rockets, grenades, automatic rifles, torture instruments… and even a NUCLEAR BOMB! Even if you&apos;re a relatively stress-free person you need to blow off steam at some point!